It follows a number of “extremely busy” evenings at the hospitals over the past few weeks putting the service under severe pressure on occasions. A spokesperson for the Northern Health Trust said hospitals across Northern Ireland are experiences pressures due to high demand. 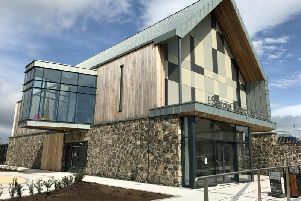 “From December 24, 2018 to January 6 2019, in comparison to the same period last year, there has been a 10% increase in attendances at the ED at Antrim Area Hospital (286 more people attending) and a five per cent increase at Causeway Hospital (90 more people attending),” she said. “We have 526 adult beds in total across both hospitals, which serve a population of around 450,000, including the highest number of older people in the region. The Northern Trust is constantly planning, learning and improving to help meet increased demand for services, the spokesperson stressed. “A Christmas and New Year resilience plan included safely discharging as many people as possible, making sure there were enough staff on duty and putting in place contingency measures, such as redeploying staff in different areas when necessary,” she continued. She pointed out that despite the higher attendances improvement has been significant with a 61% reduction in people waiting over 12 hours to be admitted to Antrim Area Hospital and a 88% reduction at Causeway Hospital. “There was also an improvement in meeting the performance target of four hours for those attending ED to be either treated and discharged or transferred/admitted for further treatment, with 5% improvement in Antrim Area Hospital and 26% at Causeway Hospital,” the spokesperson added.